It’s gaming month here on the musicMagpie blog and to celebrate, we’re giving away an Xbox One to one lucky gamer who trades in selected games this month (check out this blog post for more details). Microsoft’s next generation console hasn’t had the smoothest of launches, but it appears to have settled into its rhythm with some amazing games released over the past year or so. If you’re still not convinced you need an Xbox One, this list of essential games for the system might help you make up your mind (and enter our competition, hopefully). Anyone who has seen the Need for Speed movie might be a little bit concerned by this entry. If the movie was that bad, surely the game it’s based on is pretty awful too? Don’t worry; it’s not. In fact, it’s one of the best racing games ever. Taking place on an open-world map, Need for Speed casts you as either a cop or a racer. From here, you drive around and take part in time trials, ‘Interceptors’ and Hot Pursuits (which are basically car chases). It’s not particularly original, but it is very, very fun. It looks amazing too, with Ghost Games taking full advantage of DICE’s Frostbite Engine 3 to create dazzling weather effects and ultra-realistic cars. Even though it was released a few months after the Xbox One’s launch, Titanfall was arguably the console’s first ‘big’ game. As it happened, it didn’t quite live up to the massive hype although it is undoubtedly the best FPS on the system. It’s more or less Call of Duty with a few new features, including the ability to switch between boring old flesh-and-bone solider and giant steel-and-guns robot (AKA titans) at the press of a button. It doesn’t break any new ground, but it’s an interesting evolution of the beloved COD formula that should keep FPS addicts entertained. Dead Rising is a simple game with a simple concept: kill as many zombies in as many stupid ways as possible. 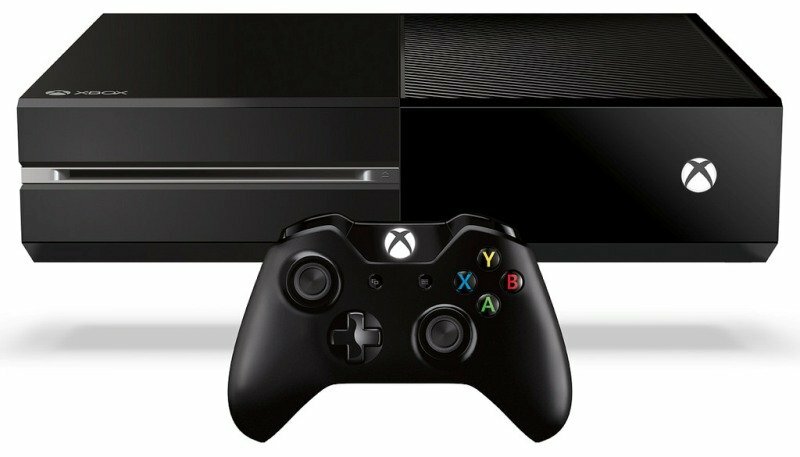 Therefore, the series’ leap to the Xbox One hasn’t led to any massive innovations. What it has led to, however, is a bigger open-world map, more zombies on screen, and more ridiculous ways to kill them. And that, really, is all we could ever ask for. Much has been made of the eye-watering retail prices of Xbox One games, but you can pick up some decent games at very reasonable prices – Outlast being a perfect example. Outlast is a genuinely scary indie survival horror game pitting you against the occupants of a asylum with only a camera for company. Yep, there are no guns in Outlast; you either have to run, hide or risk having your head ripped off by one of the asylum’s many nasties. The game takes its inspiration from movies like REC than the likes of Resident Evil, right down to the night-vision-tinged first-person perspective which seems to make everything 20 times scarier. Outlast only lasts about 4-5 hours but has a wallet-pleasing £15.99 price tag (not including spare pairs of underpants you might need). The Assassin’s Creed franchise is getting a bit silly now, although it might be for the best as Black Flag – which, in case you hadn’t guessed, casts you as a pirate – is the best edition of the game since Assassin’s Creed 2. If you’ve played Assassin’s Creed before (and, to be honest, even if you haven’t), you’ll know what to expect here. Just add water, pirates and some genuinely impressive graphics. Various reviewers have described Black Flag as ‘Wind Waker for grown-ups’, which is more or less the highest praise we can think of. Killer Instinct is a beat-em-up that is 100% completely free. Kind of. You can download Killer Instinct in its entirety for absolutely nothing right now. Unfortunately, you only get one character: Jax. To get other characters, you have to pay for them, and you also have to pay for new costumes, new accessories and…well, you get the point. Killer Instinct is a fun fighter regardless of the slightly convoluted payment system and is well worth checking out considering you don’t have to pay a penny for the pleasure. Tomb Raider doesn’t technically count as an ‘Xbox One game’ because it was released last year for the previous generation of consoles. Essentially, all you get for buying this is slightly nicer graphics. But what lovely graphics they are. Lara Croft really has never looked better. The game is still just as good as it was on the previous consoles too, which is nice. It’s quite ironic that a series as associated with mobile gaming as Plants vs. Zombies has somehow spawned one of the best games on the Xbox One. Garden Warfare is a third person shooter not dissimilar to Gears of War and sees you take control of either a plant or a zombie in their seemingly never-ending conflict. It’s a welcome change from gritty shooters, at least. What are your favourite Xbox One games so far? Share them with us in the comments.